Facebook has rolled out its new Reactions, six emojis designed to give users more options beyond the classic Like button. These Reactions were first tested in Spain and Ireland Windows 10 Mobile Launch Details, Facebook Tests Reactions... [Tech News Digest] Windows 10 Mobile Launch Details, Facebook Tests Reactions... [Tech News Digest] Windows 10 Mobile gets dated, Facebook likes Reactions, Jet.com goes free, play the Star Wars: Battlefront beta, Lexus' cardboard electric car, Netflix Settle may save your relationship. Read More last year, and our own Harry Guinness was fortunate enough to be in that first group What Are Facebook's New Emotive Buttons Really Like? What Are Facebook's New Emotive Buttons Really Like? Over the past few weeks I've been watching as Irish Facebook users reacted to, adopted and used the new emotive buttons. Here's what I found. Read More . Now, every Facebook user around the world (1.6 billion people) should be seeing them. The Like button is still there, and leading the way. However, it has been joined by buttons to express Love, Haha, Wow, Sad, and Angry. The last two are negative emotions, which runs contrary to Facebook CEO Mark Zuckerberg’s stated reason for not offering a Dislike button Zuckerberg Dislikes Facebook Dislikes, Ed Sheeran Praises Spotify [Tech News Digest] Zuckerberg Dislikes Facebook Dislikes, Ed Sheeran Praises Spotify [Tech News Digest] Also, Lenovo recalls cables, the Xbox One beats the PS4, Spotify listens to your friends, and Star Wars fan reacting to the new trailer get parodied. Read More . Still, in his Facebook post announcing Reactions, Zuckerberg claims Love is the most popular choice anyway. 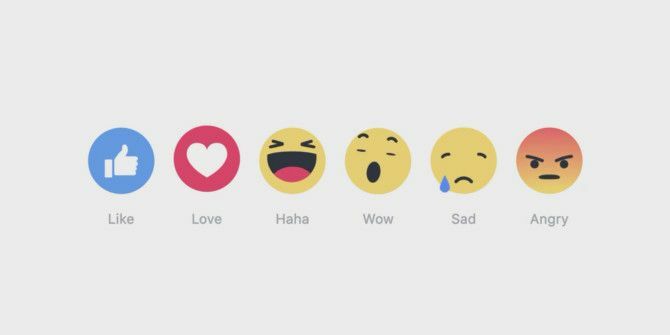 These Reactions are a positive first step in offering users more ways to interact with content being posted and shared on Facebook. Previously, people would too often resort to Liking something just as a way of acknowledging they had read the update. But that didn’t really work when someone was talking of a bereavement or redundancy. Now, just add a Dislike option, and we will all be happy. If you’re using Windows 10 Windows 10 Is the Last Version of Windows. Ever. Windows 10 Is the Last Version of Windows. Ever. Microsoft is sick of you not upgrading, and has a solution: Windows 10 will be the final "version" of Windows. Ever. This could mean that you will never again have to buy Windows. Read More then you may have noticed an ad appearing on your lock screen over the past couple of days. 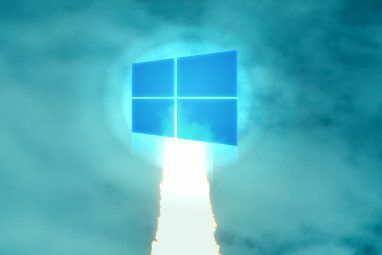 Well, buckle in, as this is set to be the first of many, with Microsoft keen to take advantage of all those people who upgraded to Windows 10 for free. Free always comes with a price Windows 10 Upgrade - Free Doesn't Mean It Won't Cost Anything Windows 10 Upgrade - Free Doesn't Mean It Won't Cost Anything There's a catch to the free Windows 10 upgrade. Microsoft understands its audience all too well; they are more likely to pay for the freedom of control, rather than for extra features. Read More , don’t you know. This first ad is for Rise of the Tomb Raider, a video game added to the Windows Store last month. Which is, by all accounts a good game, but still not worthy of such an intrusive ad. This is essentially Microsoft trying to persuade people Windows Store is worth visiting regularly, but this might not be the best way of achieving that goal. Thankfully, How-To Geek has already explained how to disable these ads. This shouldn’t have come as a surprise, as Microsoft was openly discussing using the Windows 10 lock screen for ads even before it launched its latest operating system. 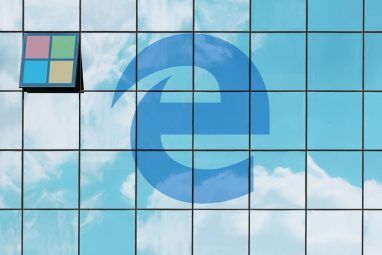 However, there are sure to be millions of people who, not expecting Microsoft to pull such a stunt, will be left wondering if they have been hit by adware. Which, in a way, they have. Just Microsoft’s own brand of adware. As the battle between Apple and the Federal Bureau of Investigation (FBI) over the unlocking of a terror suspect’s iPhone Apple Refuses to Help the FBI, Popcorn Time Returns... [Tech News Digest] Apple Refuses to Help the FBI, Popcorn Time Returns... [Tech News Digest] Apple stands up for personal privacy, the original Popcorn Time gets resurrected, Kanye West learns the price of piracy, Sega gives games away on Steam, and play Pong on your Apple Watch. Read More rages on, the Cupertino company is rumored to be taking steps to avoid such unpleasantness in the future. How? By making future iPhones impossible to hack, no matter how much a government organization may kick and scream. This is according to The New York Times, which claims “people close to the company” believe it’s developing new security measures designed to make breaking into a locked iPhone a physical impossibility. There are no details about what these actual security measures could be, but as Apple has always used the security of its products as a selling point, it’s logical to assume it’s deadly serious about this. Apple is preparing to bring Siri to Mac, with 9to5Mac reporting that the virtual assistant will arrive this fall as part of OS X 10.12. Apple has been testing integrating Siri into OS X since 2012, but hasn’t yet taken the plunge and added it to its desktop operating system. However, that all looks set to change later this year. Siri on Mac could make its debut at WWDC in June. Siri 8 Things You Probably Didn’t Realize Siri Could Do 8 Things You Probably Didn’t Realize Siri Could Do Siri has become one of the iPhone’s defining features, but for many people, it’s not always the most useful. 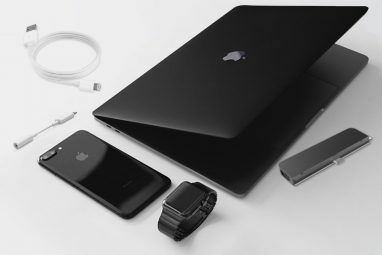 While some of this is due to the limitations of voice recognition, the oddity of using... Read More is set to reside in the Mac’s Menu Bar, with an icon enabling Mac users to call on Siri for assistance as and when needed. If this is true then Siri will be the biggest feature of OS X 10.12, which otherwise looks set to comprise of nothing more than minor UI tweaks and bug fixes. Perhaps Apple should ask Siri for some new ideas, as it seems to be running out of them 10 Intriguing Ideas to Help Apple Find Its Mojo 10 Intriguing Ideas to Help Apple Find Its Mojo Apple has built its business by innovating, and it's in danger of losing its reputation as being the company that goes where others fear to tread. Tim Cook and co. need fresh ideas. Read More . And finally, Boston Dynamics has started bullying its humanoid robots 7 Real Humanoid Robots That Will Give You Nightmares 7 Real Humanoid Robots That Will Give You Nightmares Robots are starting to move, look, and speak like people. Unfortunately, as with any cutting edge venture, sometimes you fly a little too close to the sun. Read More , just because. As you can see in the video embedded above, the Alphabet-owned robotics company has updated Atlas, a robot capable of lifting heavy boxes without getting a bad back, unlike us puny humans. Atlas is also very good at staying on its feet, as proved by its traipse across a snowy vista. And when it does fall over, it gets right back up again. It’s Atlas’ tenacity in the face of cruel bullying that is most striking though. Try that on a human colleague and the outcome would be very different. Do you Like the new Facebook emotions? Would you prefer a Dislike button? How do you feel about ads being added to the Windows 10 lock screen? Is Apple going too far in its quest for user privacy? Would you use Siri on your Mac? Should we stop bullying robots in case they rise up against us? Explore more about: iPhone, Microsoft, Robotics, Siri, Windows 10. I moved away from Manchester about 5 years ago for work and now live in the middle of nowhere on the Welsh borders. All my friends still live "oop north". My nearest Village shop is 2.5 miles away and I live so far out of civilisation I am beyond the reach of take-a-way delivery services.... it's like living in the dark ages! Windows 10 has not been the horror i was expecting. I've followed some of the advice on this site for security and privacy. It seems much better than my old Windows 7 laptop. The only thing that I really use my W10 desktop for is watching TV or listening to music in the kitchen. Although I did edit a video for my Godsons homework last week and found W10 to be more capable than my Chromebook for that task. Good find with the Windows 10 adverts. I recently upgraded and am planning on getting to grips with it tonight. The emoji things for facebook have been a long time coming. I'm not a fan of facebook but am forced to use it as none of my friends or family will use any other social network and I live a good 100 miles from anyone so I'm stuck with it. Half of them won't even entertain the idea of using facebook messenger let alone whats app! How are you finding Windows 10 so far? You live 100 miles from anyone? Literally? Or just from friends?